Rev. 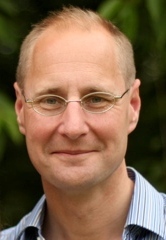 Dr Jonathan Arnold is the Chaplain of Worcester College and a professor of theology at Worcester College, Oxford. Dr Arnold specializes in Reformation History and Music and Theology, having recently written ‘Sacred Music in Secular Society’. After studying at St Peter’s College Oxford, Dr Arnold went on to train as a singer at the Royal Academy of Music, from where he became a Vicar-Choral in the choir of St Paul’s Cathedral and a member of The Sixteen. Sacred Music Radio was fortunate to sit down with him and discuss the changing face of sacred music. How do you feel we can best encourage sacred music amongst the younger generation? The demographic of people who are spending their money or time to listen to sacred music has traditionally been perceived as the middle aged and above. However, what we are seeing now is diversity in our culture, which allows people of all generations to engage with a wide of variety of music from different cultures and places. This has meant that it has become something that is accessible to the young as well as the older generation. A key way to encourage sacred music amongst the younger generations is through education. One aspect of education that I consider to be a priority in schools is an engagement with different art forms in classes, whether that be music, visual art, or literature that come from different cultures. What we don’t want to lose in our schools is a sense of the diversity of the sacred in the different cultures of our world. Once people are exposed to different forms of sacred culture, they can experience them for themselves and undertake their own exploration of what they may want to follow. You focus a lot on diversity in schools, how do you think we can achieve interfaith harmony outside of the classroom? In one word- music. One of the great things about music is that it can break down faith barriers and within faiths; it can break down denominational barriers. I am reminded of an interview I carried out with Peter Phillips, the conductor of the Tallis Scholars. He told me that in his concerts, there is no speaking. One of the reasons for this is that if someone stands up and states that they are Roman Catholic, immediately someone else will say they are something else. We create a division when we try and decide if a piece of music is part of Catholic liturgy or of another denomination, rather than letting the music speak for itself. When we listen to a piece of choral music by Byrd, Victoria, Bach or Rutter we need not necessarily say that it is Catholic music as such, it is just music. You yourself performed classical choral repertoire- what was it within sacred music that moved you the most? One of the wonderful things about music is that it can be enjoyed and appreciated by everyone. I might be moved by Arabic or Jewish chants as equally as I would be by western music of the Christian tradition. Within the interfaith situation, we can appreciate that and see that it comes from the same source, which is, of course, a divine source. We shouldn’t need to explain that because music and sacred art goes beyond words, which can so often create boundaries between faiths and cultures. Music can take us to a place where words are not necessary, as music reveals something of the ineffable reality of the unknowable divine. It is speaking of the inexplicable. Do you think that sacred music can help us to understand and interpret what is mystical in our lives? One of the reasons for the popularity of sacred music, both within and outside a religious context, is that it takes away the need for an ascent to a particularity institutional religion. If you are listening to a particular piece of music, you can ascent to it without necessarily following a strict doctrine or creed. That is why people enjoy going to concerts of sacred music, or listening to it online or on a recording, because they are not required to kneel down and pray etc. They can take the music on its own terms and move to a place beyond words. Based on your belief that the sacred can take us to a place beyond words, do you think that sacred music can help us understand spirituality as personal? A lot of sacred music in its original composition is tied to its function within a religious institution or organization. Yet, what is happening now is that people are accessing sacred music in ways that are not related to institute religion. The interesting question is how do institutional religions respond to that fact? Is it time for faith to reclaim sacred music as part of the religious tradition and make people aware of its function within a faith context or is it enough for sacred music to stand-alone? The future role of sacred music is certainly an interesting area to watch. In your latest work, ‘Sacred Music in Secular Society’, you suggest that the spiritual nature of sacred music continues to hold an immense attraction in the secular society. Could you expand on this? The book is a study of how we in the west are consuming sacred music, by which I mean how we access sacred music and the context within which we listen to it and engage with it. Within the book, I mainly focus on western sacred music, specifically Western Europe from the early Middle Ages through to today. If we look at how Christian sacred music is now being accessed, it is not necessarily being heard within a liturgical context. The rise of digital media has meant that people can access sacred music just about anywhere, either through downloads or live streaming. It is a way for people to bring sacred music out of the church setting and into their home. How have you seen attitudes change towards sacred music? There has already been a huge rise in interest in sacred music, and this interest goes beyond the liturgical settings- attendance to cathedrals in Britain has risen sharply. People are going to cathedral worship in much greater numbers then they did 20 years ago, which is one indicator. Another is how popular sacred music has become within classical music and in the concert halls. Before I became a chaplain at Worcester Collage, Oxford, I was in fact a practicing professional singer, and I performed in a cathedral setting and on a concert stage with various choirs. It was whilst working with these choirs that I was able to see how audiences, as opposed to congregations, reacted and responded to sacred music. Sacred music has not only become more accessible than it ever has been in world history, but it is now more easily consumed and desired by the public. What direction do you see your upcoming work taking you in regards to the role of sacred music? In the research I have undertaken so far, I have focused on case studies of performers, composers and listeners. Through these, I engaged with the professionalization of sacred music, undertaking interviews with people who have informed opinions about sacred music in our society including Rowan Williams, the former Archbishop of Canterbury. Moving forward, my research is taking a sociological and psychological approach. I will be focusing on two categories of listeners, cathedral congregations and concert audiences. I have two surveys on the go, which can be found here http://www.experienceofmusic.org/. Through these surveys I hope to understand how people respond to music in a particular settings and come to some conclusions as to where the sacred is concentrated in our society and how people use the language of sacred music. Is there a particular piece of sacred music that you favour? There is no one piece of music that I favour. Music can often be a surprising joy and I am always keen to hear new music and gain more experience. There is so much powerful and wonderful music that has been written that I sometimes return to the great works of Bach or Palestrina, for example, but there are some great living composers of sacred music that I am optimistic for its future in our society. Would it be possible to have tracks ready to play on demand and would it be a good idea to have podcasts of interviews?